Dangal has ended the year on a positive note, as the story of two inspiring girls making their mark in the world of sports struck the right chord with audiences. 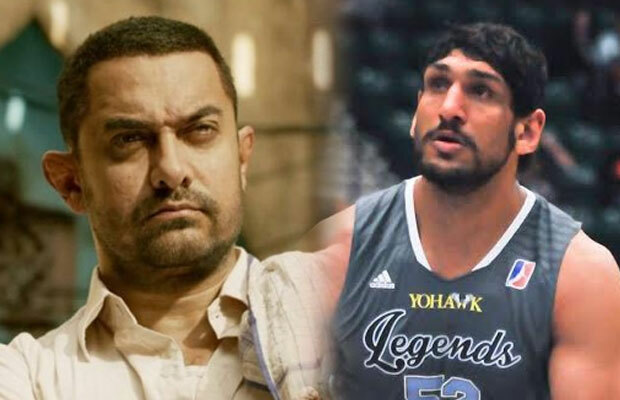 Satnam Singh Bhamara, the first ever Indian to be drafted to the National Basketball Association (NBA), is among the many who has been inspired by the Aamir Khan starrer. Being able to draw parallels with own early life struggle before being drafted to the NBA, Satnam Singh, despite being miles away from his home, watched Dangal and relived his life’s journey. Hailing from Punjab’s small village Ballo Ke, Satnam Singh endured several difficulties from a very tender age, much like how the film depicts the story of the Phogat girls. From finding a shoe that fits his size to play basketball, to moving to USA to better his game even though he had little knowledge of the English language initially, to contending for the most sought after NBA pick and achieving the same in the second around, Satnam Singh faced each of these life phases head-on with sheer grit. While his own life journey has been portrayed through an inspiring documentary titled “One in a Billion” by New York Emmy award winner director Roman Gackowski, Dangal struck an emotional and nostalgic connect with Satnam, as it brought back his own personal memories from his growing years to become who he is today. Previous articleBreaking Bigg Boss 10 Eviction: Monalisa, Gaurav Chopra Or VJ Bani- Guess Who Gets Evicted!